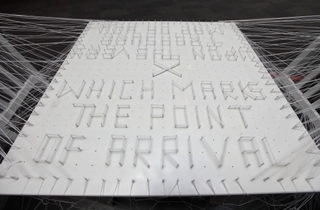 Locally-based artist Tania De Rozario interprets Cyril Wong's poem The Point of Arrival by covering a low table and two chairs with white thread to create a spider web-like effect. 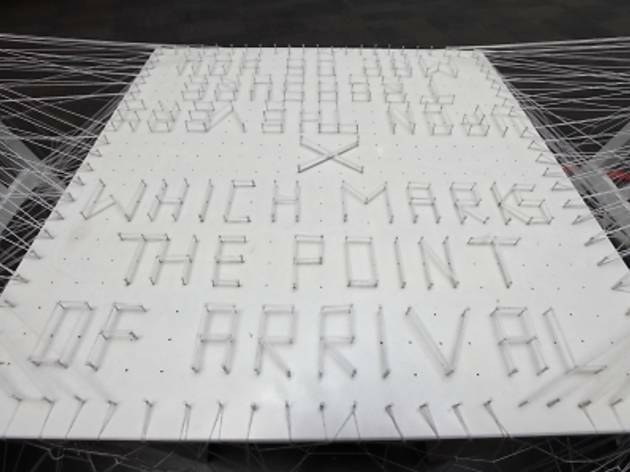 The threads are held up by small pins and the shadow they create – which spells out the final four lines of the poem - is cast onto the table's surface. The event is part of Project LAVA, an initiative by the National Arts Council that aims to engage audiences through visual art installations inspired by literary works.